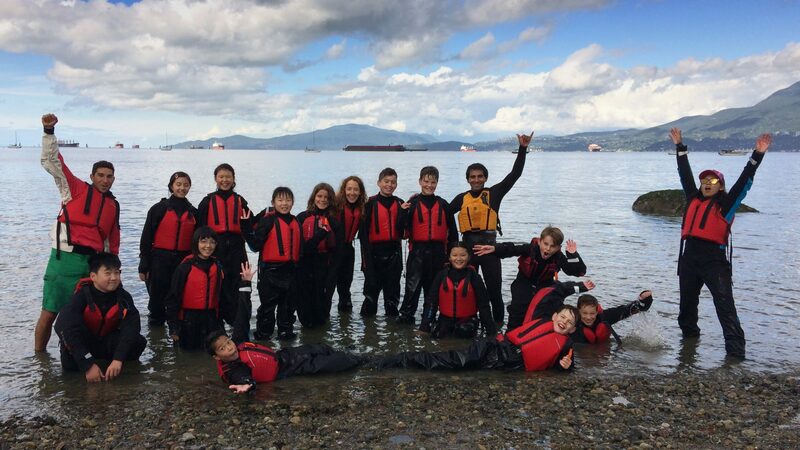 We provide students in grades 5 to 8 in the Lower Mainland and on Vancouver Island with an inspiring educational experience that culminates in our on-the-beach Ocean Camp program. 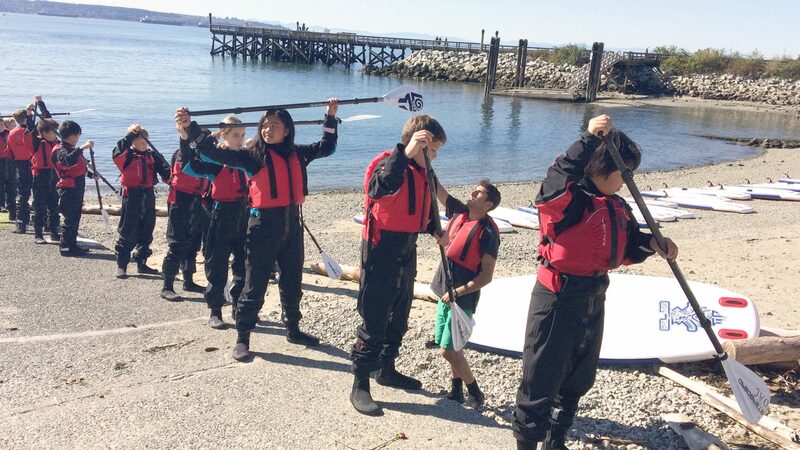 Students learn to stand-up paddle, participate in a clean-up, discuss the ways ocean plastics impact marine life, and discover ways they can make a difference. In this 2.5 hour workshop, grade 2 students explore the ecology of the shoreline and take part in a hands-on educational workshop on the beach exploring marine life and the crisis of ocean plastics. The Gumboots workshop links to the new BC Curriculum focus on flexible learning environments and developing a sense of place. Ocean Ambassadors’ TideRider Adventure Camps offer experiential summer programs for kids, aged 9 to 14, that incorporate fun, education, self-awareness, skill development, and meaningful connections to nature. 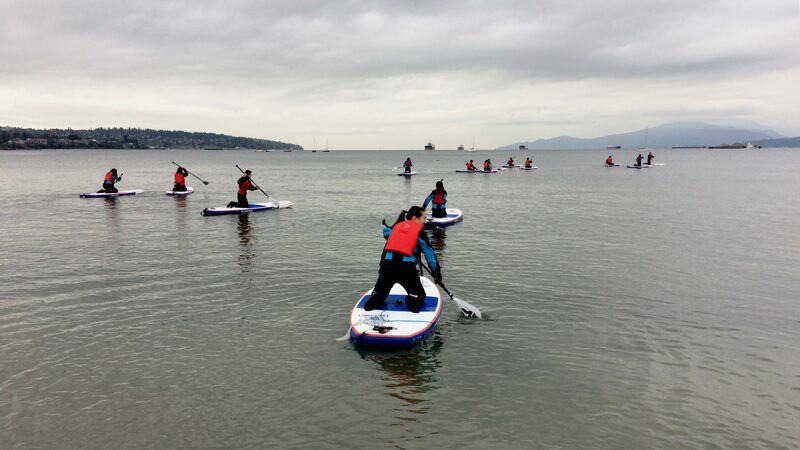 Programs have ratios of 1 instructor to 6 children, and take place at Ambleside Beach on the North Shore and at Kitsilano Beach in Vancouver. Participants learn to stand-up paddle, including Paddle Canada certification, explore the ecology of the shore and ocean, and are empowered to become stewards of our oceans.